Can you guys tell that I am a bit obsessed with lace? There is just something so elegant about it that makes me feel like special. 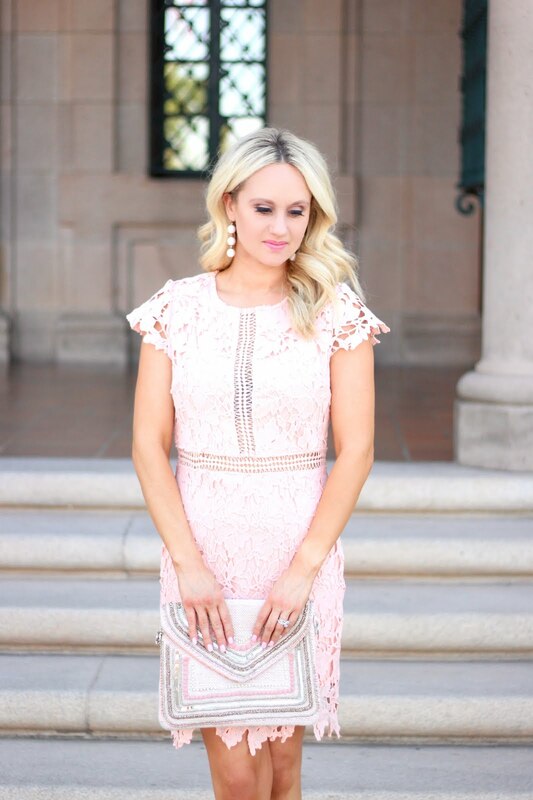 Here is a blush one from Sequin Sky that is just so stunning. I paired it with some white pumps and a clutch for a date or wedding look.